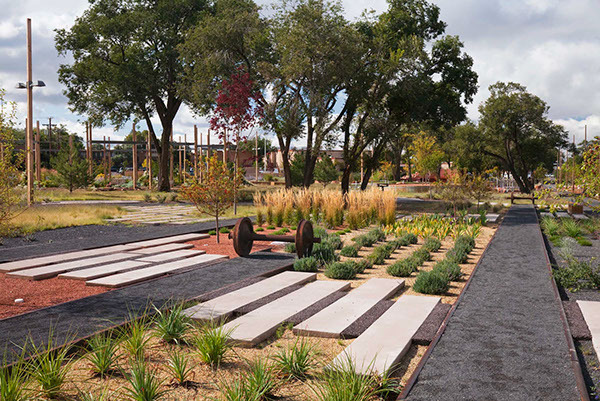 Ken Smith Landscape Architect collaborated with architect Frederic Schwartz and artist Mary Miss on the redevelopment of derelict old railyards into a major new public park. 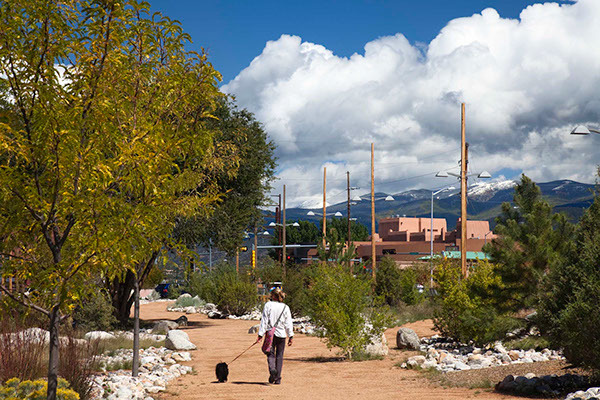 Santa Fe is known for its multicultural history, which reaches back several centuries with its adobe architecture and its historic plaza. 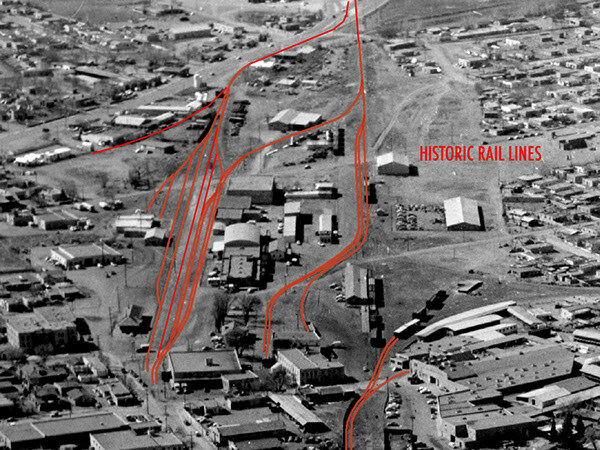 In the nineteenth century, it was also a railroad town, a less well-known chapter that left a significant imprint on its urban fabric. 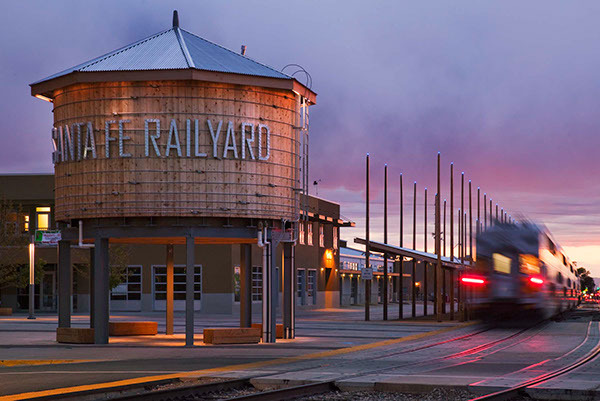 The Railyard Park is part of the redevelopment of the historic train yards near the downtown core of the city. 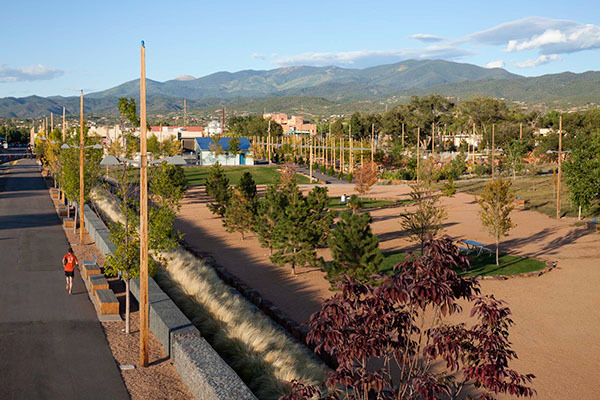 As the lead designer for the park, Ken Smith worked with the residents of Santa Fe, notably outspoken and active in community planning, to respond to the community, its social history, needs and local context. 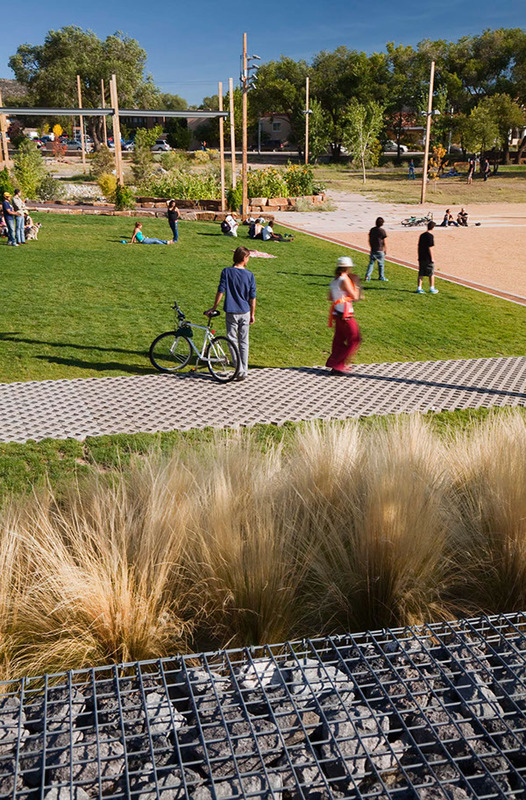 The 13-acre space includes a plaza, alameda, sophisticated water-conservation features, open spaces and park features. 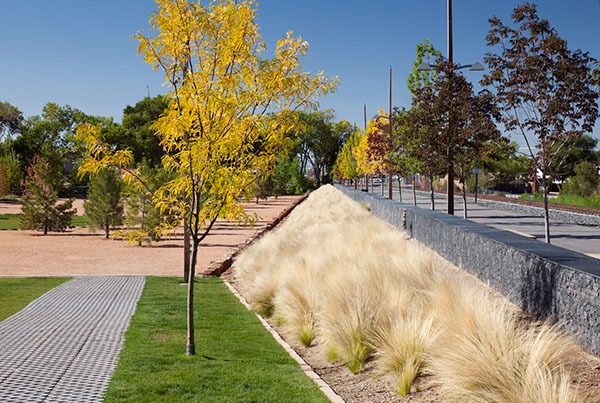 The park was conceived as a set of park-wide systems defining program, plantings, water harvesting and circulation, all integrated with the overall design of park spaces and features. 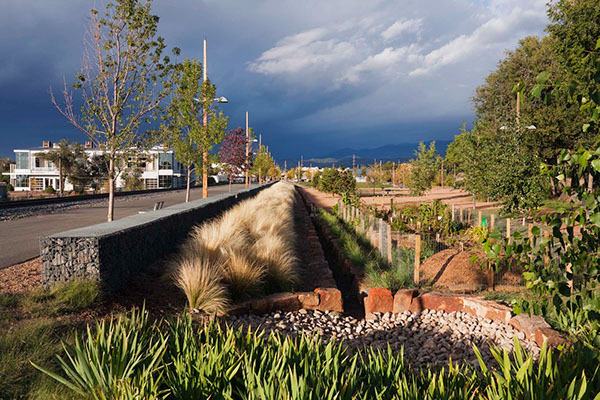 The alignment of historic rail lines and sidings provide the spatial structure of new park pathways linking history with contemporary use. 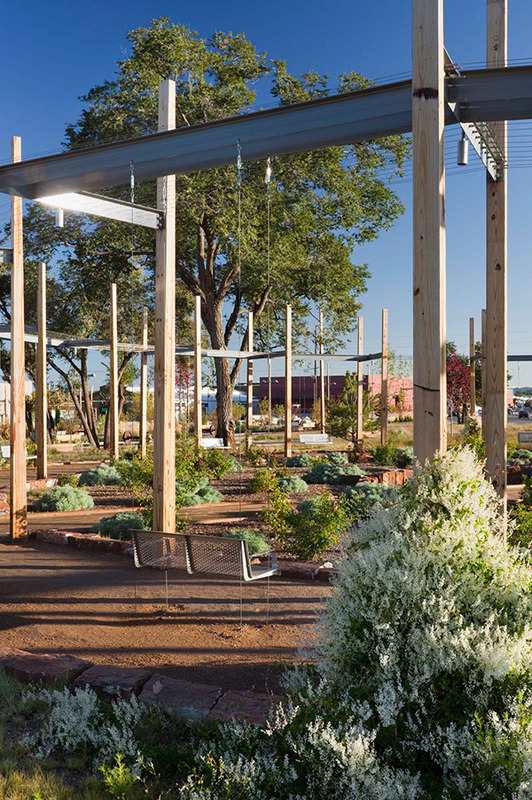 Throughout the park, water is captured from neighboring roof areas, stored, and used as a visible element in the park landscape. A water tank in the new plaza is the central storage component for harvested water. 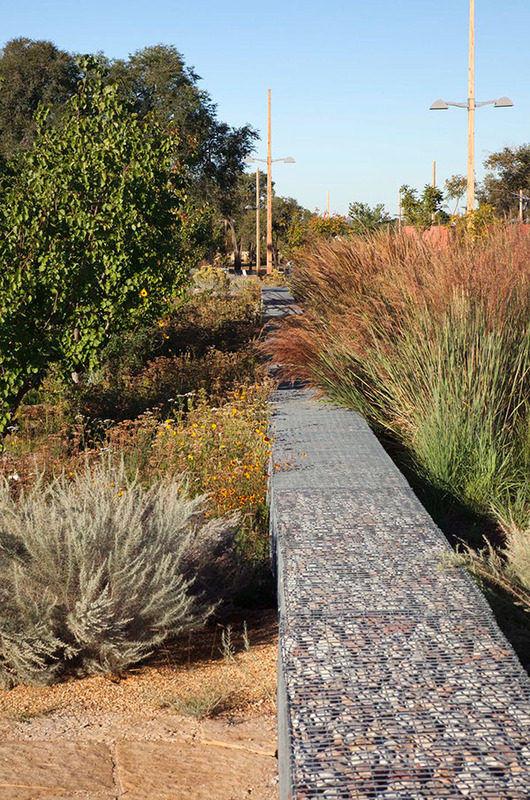 This water supports xeric plantings, native grasses and garden environments that shape the public spaces of the park. 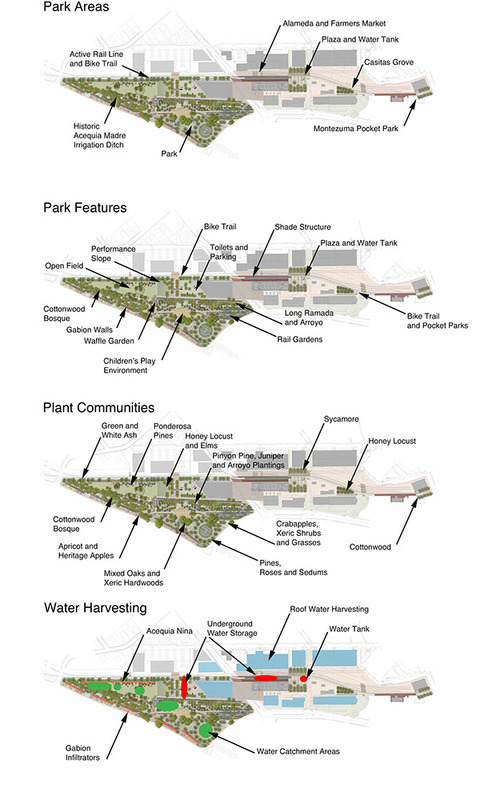 Railyard redevelopment in historic district as public park and public space catalyst for neighborhood renewal.